I am inspired by Nabanita, my fellow blogger, to pen down a gratitude list to join Laurel in this week’s Gratitude Linkup. So here is my list on this day, in no particular order. To my friends who provided great support, when I got a discouraging personal message on FB yesterday. I never realized I had so many friends, who were more upset than me by those messages. Believe me there are wonderful positive people out there because of whom the world is what it is today. To my maid who cleaned the kitchen without any instructions from me! For today with no major interruptions in writing! For getting a free book from Indireads, as part of their giveaways. 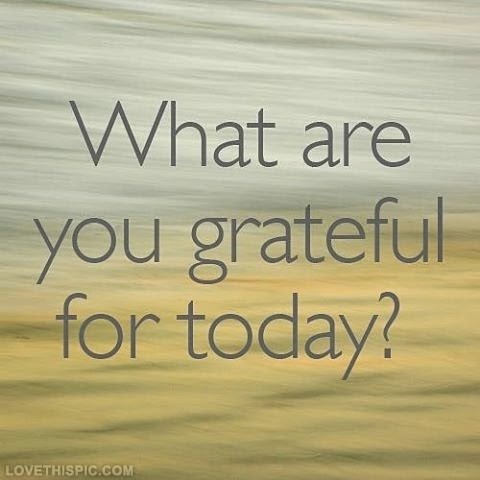 What’s on your gratitude list? Please share!